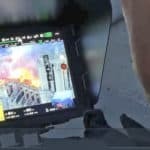 Updated 22/11/17 – AirSelfie was born via a KickStarter crowdfunded drone project which was successfully funded back in 2016. We have been sent one for review by an RC retailer, but this will be frustrating for many backers whom are still waiting for their drones to be delivered. Stated for delivery in January 2017, many backers are still without their drones, despite the fact that AirSelfie is available to buy from online retailers such as RCMoment, from where we received our review model. 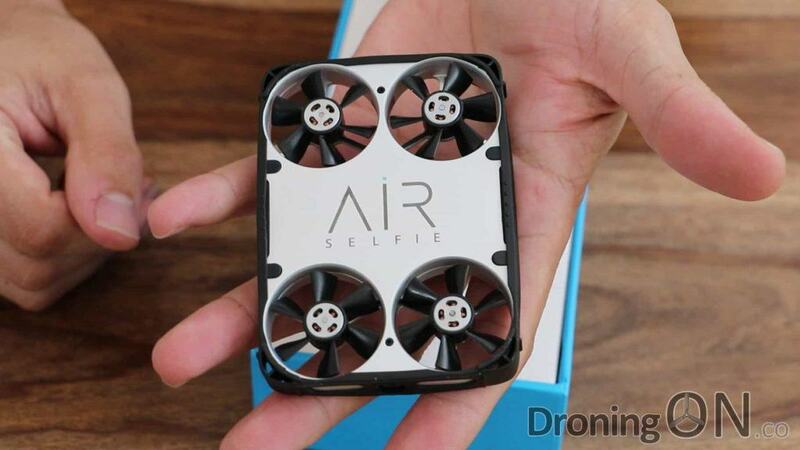 AirSelfie during the unboxing review, impressive packaging but is the drone as impressive. 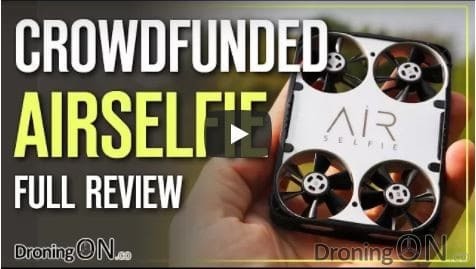 Initial reviews of AirSelfie by backers and YouTubers have not been positive, but as per our usual standards we entered our review process with an open-mind in order to provide a fair and unbiased verdict. 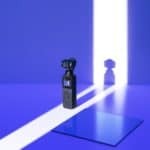 ❍ Video/photos quality and clarity is fairly good. ❍ Quick and easy to get into the air, we love the throw to launch. 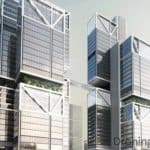 ❍ It has an Innovative and safe design with protected props. ❍ Compact and lightweight, truly pocket sized! 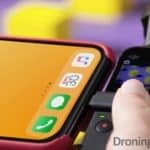 ❍ App and firmware desperately need enhancement and updates,. the last update was in May 2017. ❍ Optical flow has not been implemented successfully, even on a textured ground surface it fails to work properly. ❍ Instability of the hover leads to blurred photos and wobbly video unfortunately. ❍ Flight time far too short at just less than 2 and a half minutes. ❍ There are Insufficient fail-safes, AirSelfie can drop out of the sky when battery depletes below a certain level. ❍ Lacking control sensitivity settings, although this is perhaps because the drone is not capable of faster flight without becoming unstable. 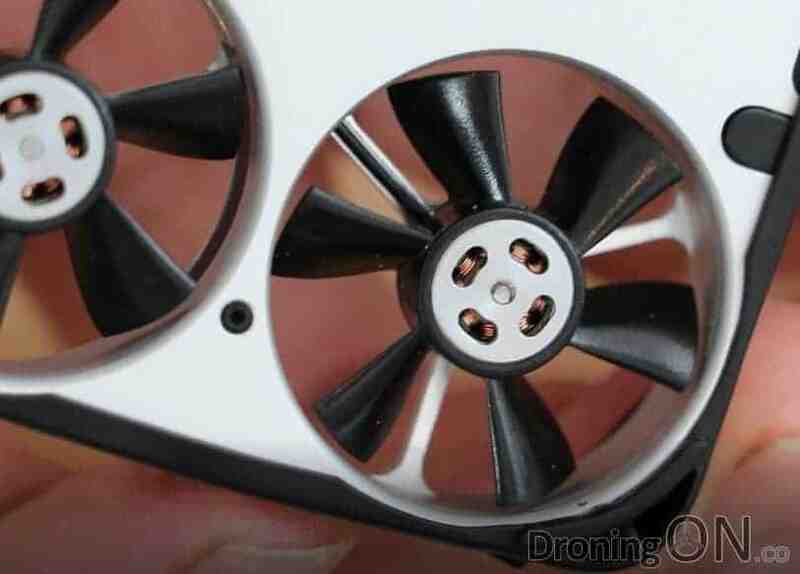 The brushless motors of the pocket-sized AirSelfie drone. DRONINGON: When will you provide app and firmware updates to address the bugs/issues with AirSelfie? 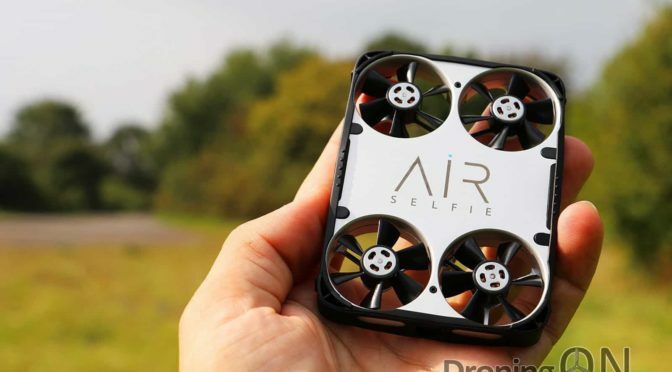 DRONINGON: Why is AirSelfie being sold via retailers before all backers have received their drones? 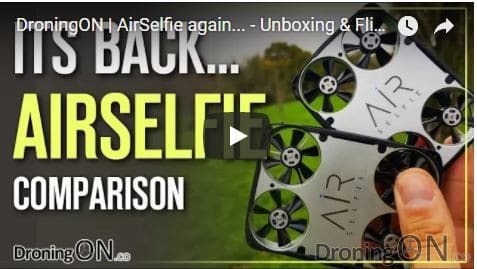 AirSelfie have offered to provide DroningON with an updated unit for test, we have accepted their offer and will provide a comparison review upon arrival. Our review unit came from RCMoment, although stock of the AirSelfie is intermittent and therefore check for availability. 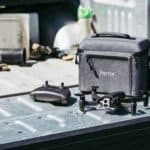 However, due to the various issues and limitations with AirSelfie, we recommend instead considering Dobby or the DJI Spark instead, far more impressive drones, although a little more costly. If you are an AirSelfie KickStarter backer, please comment below with your thoughts and feelings regarding the campaign – we are in touch with AirSelfie and might be able to assist backers with responses to queries.